Thanks for waiting everyone! I had to go to work yesterday and did not get home until around 11:30pm. I was way too tired to post online, so here is the long awaited pot holder tutorial! What you’ll need are two 8.5 inch squares of all cotton fabric, one 8.5 inch square of Insul-Bright, and one 8.5 inch square of all cotton batting. The reason I use the two inside layers is because I read in product reviews that one layer of Insul-Bright is not the best, and all you need to add is one layer of all cotton batting to make it work perfect. I even used mine last night when I made some spaghetti when I got off work late at night! Follow the jump for the tutorial! I made my potholders 7.5 by 7.5 inches. 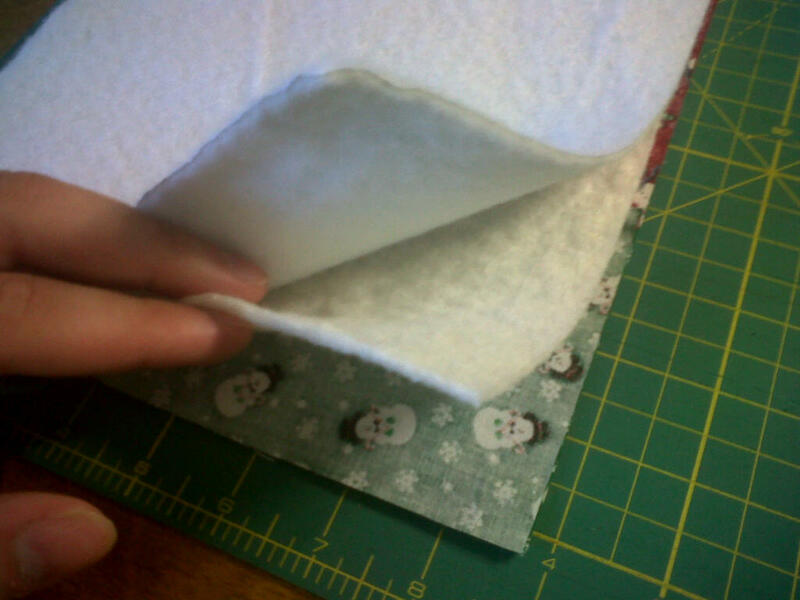 You can make them however large or small you desire, just at 3/8″ seam allowance on each side. 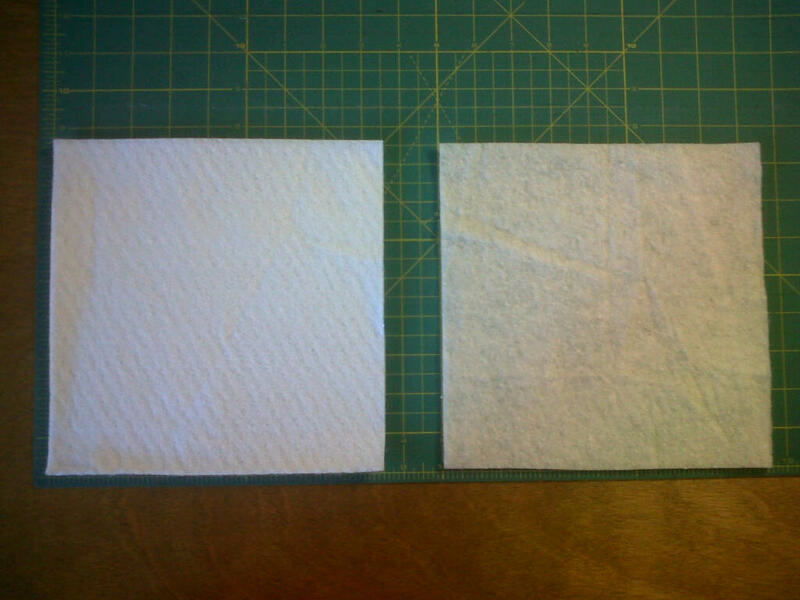 I want everyone to start with one 8.5″ squares. One of Insul-Bright, and one of all cotton batting. Then make your fabric covers. 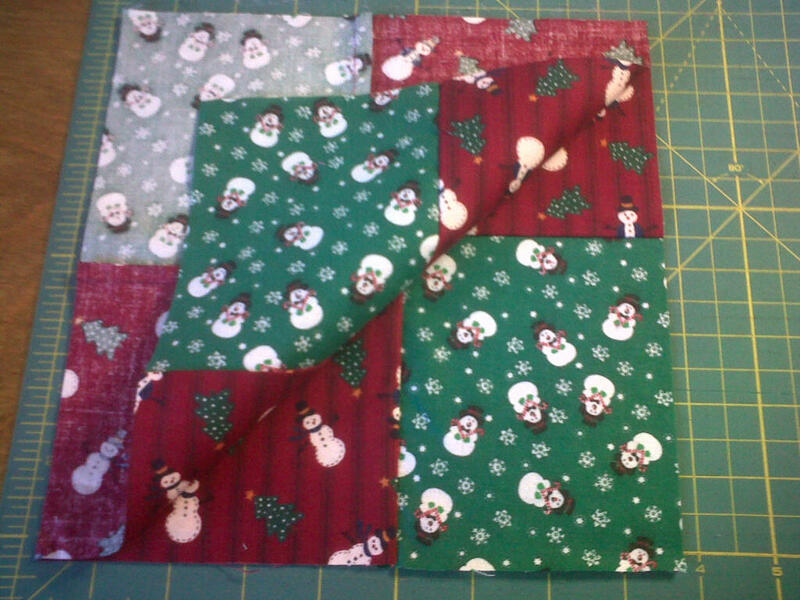 I used some Christmas scrap pieces I had left over from various other projects. 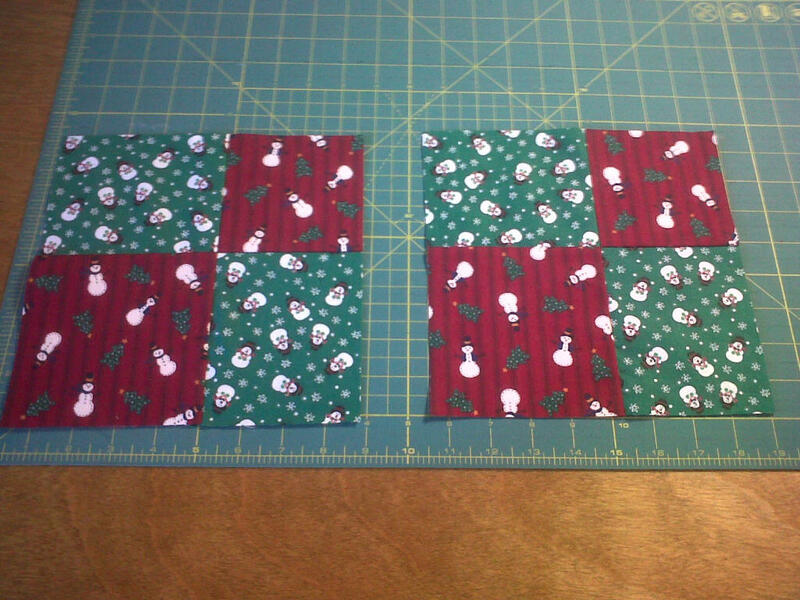 And trim those to 8.5″ squares. Then put them together right sides facing each other. Then put the Insul-Bright and batting on top of that. 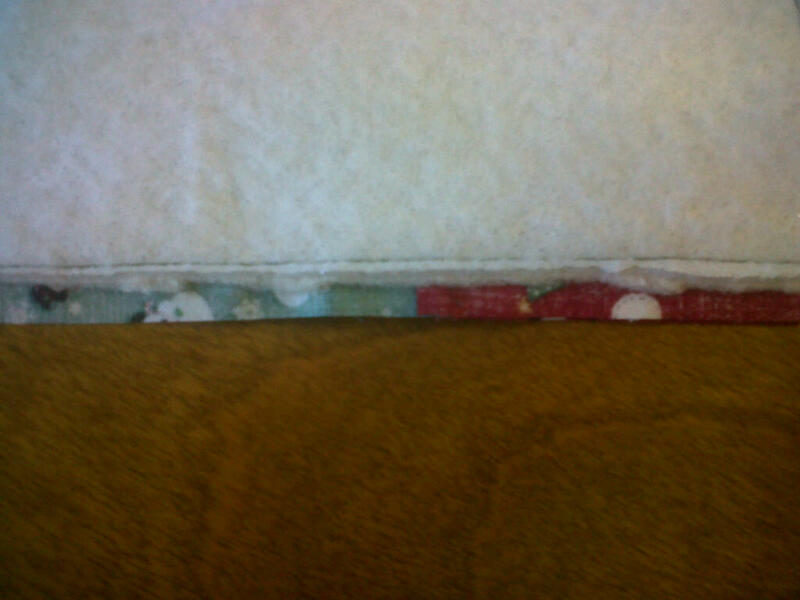 Then sew 3/8″ seams around the edge, leaving a 4 to 5 inch pocket open, and trim off the extra batting and Insul-Bright. Open the pocket and bring the whole thing inside out. 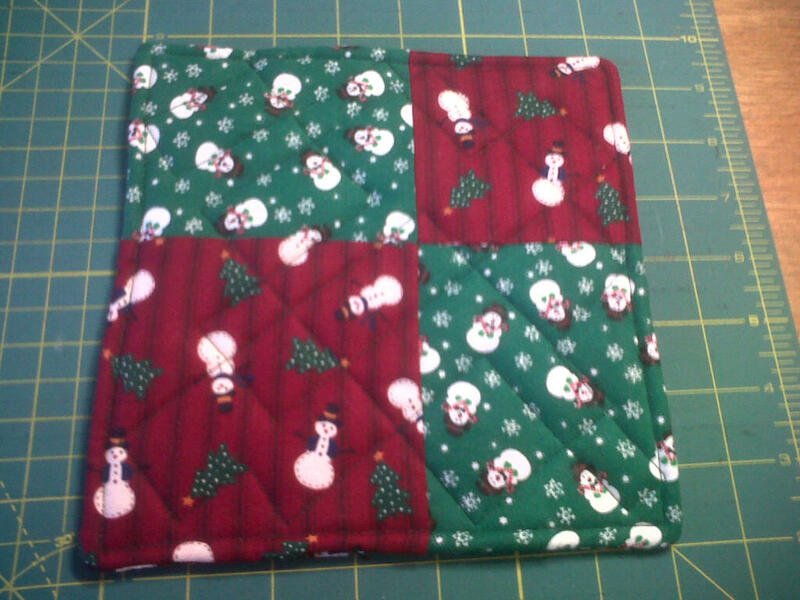 Then sew around the edge and quilt it down in whatever design tickles your fancy! There you have it. It takes me about 50 to 10 minutes to do them, and I’m sure with practice anyone can beat me at it! Hope everyone enjoyed it! ← On The Docket For Tomorrow…. How did you close your opening? 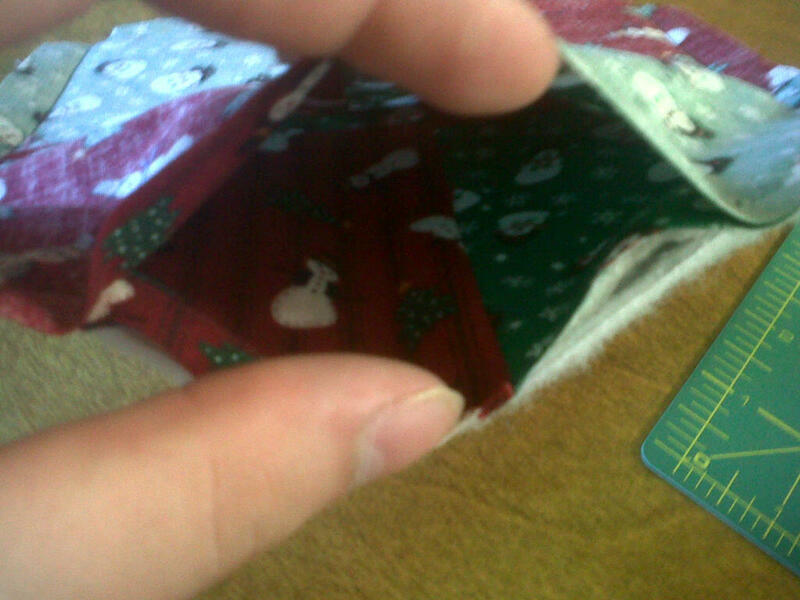 Once it is flipped inside out just sew around the edge.